An Eastern North Carolina native, Michael moved to Wilmington in 1997 before his freshman year in high school. In 2006, he enlisted in the US Army and became an Army Deep Sea Diver. 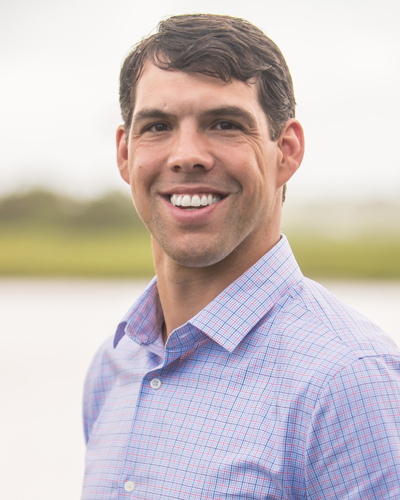 After being medically retired from the Army due to a spinal cord injury, Michael returned to Wilmington where he attended UNCW. He then transferred to NC State University where he earned his BS in Mathematics. Upon graduation, Michael accepted a data analyst position with a small market research firm in Raleigh. His hard work and strong problem-solving abilities quickly earned him a promotion to Operations Manager. With the birth of his daughter in 2013, Michael transitioned into a more challenging and rewarding position, that of a Stay-At-Home parent. After spending time in New Hampshire and the Outer Banks of NC Michael and his family finally had the opportunity to move back home to Wilmington. Michael is dedicated to utilizing a strong work ethic, integrity, and a passion for real estate to help his clients navigate the local real estate market. Helping his clients achieve their goals is his top priority! As a member of the Potratz and Associates real estate team, he has access to his team members’ valuable experience. Every real estate transaction is different, and it is extremely beneficial to have a great team of wonderful people to support you. When you hire Michael, you are getting a team of professionals working together to help you achieve your goals! Michael and the Potratz and Associates team have extensive experience helping people relocate to the Southeastern, NC area. If you or someone you know is considering moving to Wilmington or the surrounding areas Michael would love the opportunity to provide his professional services. If you or someone you know is considering selling a home, Michael can perform a market analysis to give an estimated selling price and provide feedback on things that can be done so the home fetches top dollar. It is typically good to perform a market analysis a few months before listing so there is time to get everything perfect. Michael can also help with buying a home in Southeastern North Carolina and would love to assist with that process. When hiring a buyer’s agent you do not pay for services, as all commissions are paid by the seller. He would also welcome any of your referrals to friends and family in the area that needs real estate assistance of any kind. Michael would be more than happy to help you in any way he can. As a Broker/Realtor® he has an extensive list of contractors, plumbers, roofers, electricians, and handymen that he can get you in contact with if needed. Michael is married to his high school sweetheart and Wilmington native, Sarah Rieman Braton, CRNA. They have two wonderful children and two dogs. In his free time, Michael enjoys spending time with his family, surfing, fishing, and boating. Michael would love the opportunity to assist you with any and all of your real estate needs!